A new device from OPPO with model number PBFM30 had appeared on China’s TENAA last week. But the listing revealed the specifications of the device, there were no images. But now, the images have been added on the certification website, divulging the design and some other facts about the upcoming phone. 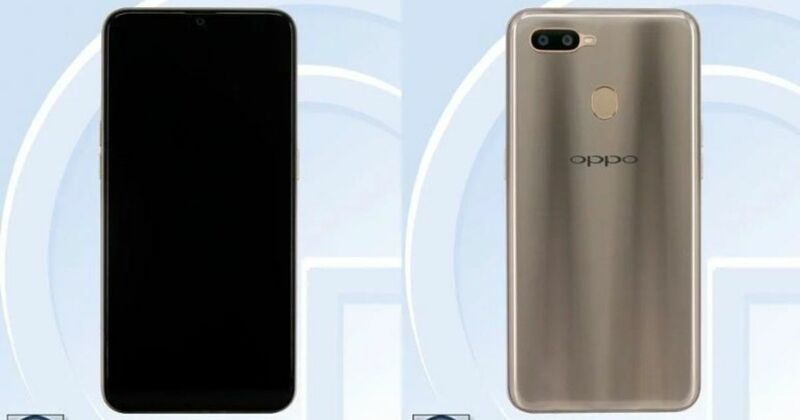 The images of the OPPO PBFM30 confirms that the smartphone would flaunt a waterdrop notch at the top of the screen. It has also been revealed that the device would sport a glass panel at the back and come fitted with a dual-camera setup along with a fingerprint scanner. The handset would be available in a new colour option, Grey, to go with the Blue and Pink that were revealed in the previous leaks. With regards to the specifications, the OPPO PBFM30 is stated to come with a 6.2-inch display having an HD+ resolution of 720 X 1,520 pixels. The device ships with Android v8.1 (Oreo), which can be expected to be layered with the brand’s proprietary ColorOS. As per the listing, the device comes powered by a 1.8 GHz octa-core processor, which would be further assisted by a 3GB of RAM. There’s 64GB of storage onboard, and that could be expanded with the help of a microSD card slot. Speaking about the cameras, the OPPO PBFM30 sports a 13MP + 2MP dual cameras on the rear. At the front, there’s a 16MP lens for capturing selfies and video calling. The smartphone is said to draw power from a 4,100mAh battery. TENAA also reveals that the smartphone measures 55.9 x 75.4 x 8.1mm overall, and tips the scales at 158 gms. Sadly, TENAA doesn’t mention the name of the device. However, as per the reports, the smartphone could be launched as the first A-series device from the brand in 2019.